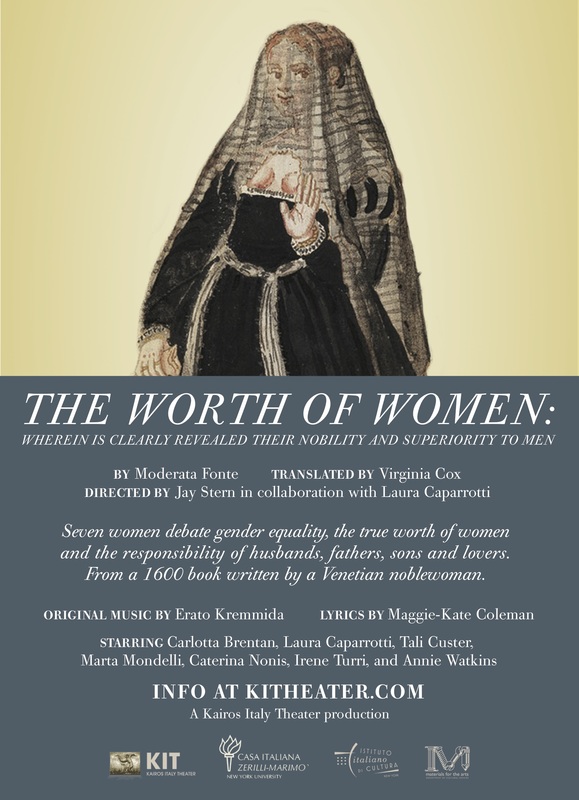 Kairos Italy Theater, the main Italian theater company, in residence at Casa Italiana Zerilli-Marimo’ presents seven women dialoging about gender equality and the responsibility of husbands, fathers, sons and lovers. Moderata Fonte was the pseudonym of Modesta Pozzo (1555–92), a Venetian woman who was something of an anomaly. Neither cloistered in a convent nor as liberated from prevailing codes of decorum as a courtesan might be, Pozzo was a respectable, married mother who produced literature in genres that were commonly considered “masculine”—the chivalric romance and the literary dialogue. Published in 1600, The worth of women takes the form of the latter, with Fonte creating a conversation among seven Venetian noblewomen. The dialogue explores nearly every aspect of women’s experience in both theoretical and practical terms. These women, who differ in age and experience, take as their broad theme men’s curious hostility toward women and possible cures for it. Through this witty and ambitious work, Fonte seeks to elevate women’s status to that of men, arguing that women have the same innate abilities as men and, when similarly educated, prove their equals. Through this dialogue, Fonte provides a picture of the private and public lives of Renaissance women, ruminating on their roles in the home, in society, and in the arts. A fine example of Renaissance vernacular literature, this book is also a testament to the enduring issues that women face, including the attempt to reconcile femininity with ambition. 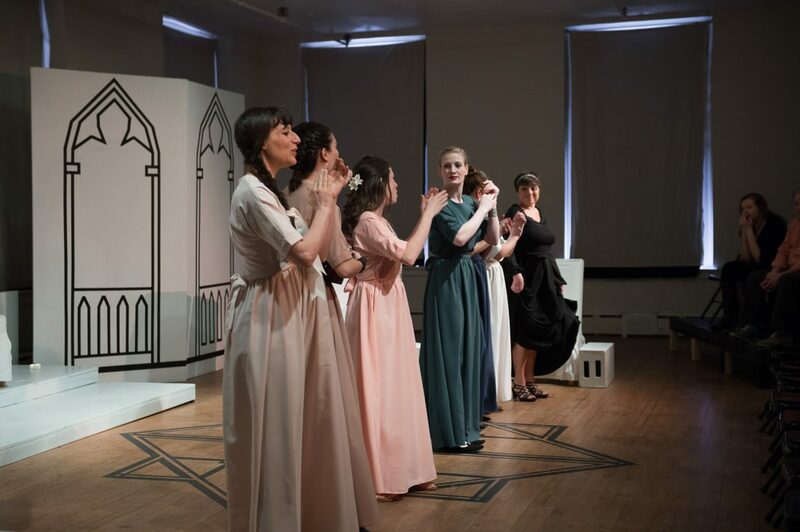 Check the photos of the production in the Worth of Women album in our FLICKR page. The show has been presented at the Embassy of Italy in Washington DC and at the University of Buffalo (October 2018), the Gallery at Access Theater in New York (April 2017), Bernie Wohl center (MArch 2017), Casa Italiana Zerilli-Marimo’ at NYU (February 2017).